Winter 1963: two children have disappeared off the streets of Manchester; the murderous careers of Myra Hindley and Ian Brady have begun. On a freezing day in December, another child goes missing: thirteen-year-old Alison Carter vanishes from her town, an insular community that distrusts the outside world. For the young George Bennett, a newly promoted inspector, it is the beginning of his most difficult and harrowing case: a murder with no body, an investigation with more dead ends and closed faces than he'd have found in the anonymity of the inner city, and an outcome which reverberates through the years. Decades later he finally tells his story to journalist Catherine Heathcote, but just when the book is poised for publication, Bennett unaccountably tries to pull the plug. He has new information which he refuses to divulge, new information that threatens the very foundations of his existence. Catherine is forced to re-investigate the past, with results that turn the world upside down. 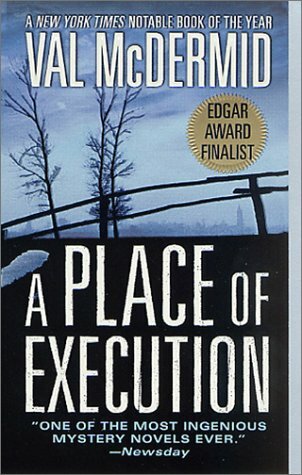 A Greek tragedy in modern England, A PLACE OF EXECUTION is a taut psychological thriller that explores, exposes and explodes the border between reality and illusion in a multi-layered narrative that turns expectations on their head and reminds us that what we know is what we do not know.